It has been pretty busy over here at Seaside fulfilling last minute personalized stationery requests. I wanted to take a second and show you some cute out of the ordinary gift ideas for all those last minute shoppers who are still confused as to what to get someone. 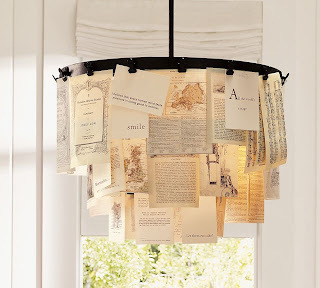 This beautiful paper chandelier from the Pottery Barn made me look twice. We are in the process of redoing our studio and this would just fit perfectly into Seaside's new home. As soon as I saw it I couldn't help but envision what an incredible element this would add to a room. How fun would it be even to hang Christmas cards, note cards from loved ones, save the date responses or even old handwritten family recipes. 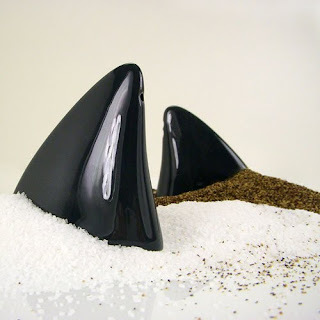 Seriously, how cool are these shark salt n pepper shakers. I love the salt mound around it as if the shark fin is swimming through it. AWESOME! What a great gift for someone who has a beach house or just loves sharks!! How cute is this Kate Spade bag!! Its perfect for the winter time. It even looks like a peacoat. 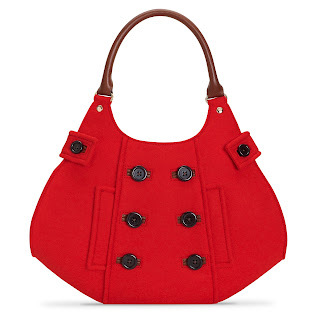 I love the bright red color, perfect for a grey winter day. I can totally picture myself wearing this with a grey wool peacoat, some Gianni Bini suede boots and a fun colorful scarf walking around London or NY... hmm. Okay its definitely on my Santa list. And lastly, what's a Holiday without some treats. I have seen these macaroons all over the wedding sphere and they are just soo elegant and yummy looking. They look like little clouds of sugar yumminess. These would make great Christmas gifts, just add a beautiful Christmas card and some personalized stationery and wa-laa a perfect Christmas gift your friends will be sure to appreciate. You can also use them as a cute way to say "Will you be my Bridesmaid?" your friends will be so excited to be a part of your wedding and then to have some sugary sweets to top it off - how can you go wrong. These macaroons will be the star of any food table at a Baby or Bridal Shower. This photo is courtesy of the Food Network Kitchen and click here to get the recipe for these Hazelnut Mocha Macaroons... enjoy! !